I never doubted this movie was going to be good, but I didn't see it being this good. I'm a big fan of the Rocky Franchise, unlike most people, and I think that Rocky Balboa served as a great soft reboot of the series that allowed this movie to happen. That story line saw a unfulfilled Rocky come back and leave it all in the ring one last time so that he could move on with his life outside of boxing. That story translated into an even more lost Rocky once he was done inside of the ring. He was missing his late wife Adrian before, but with nothing left for him to fill that hole in his heart, he started longing for her and Paulie more and more everyday. The product of Apollo Creed and his mistress, Adonis struggles throughout the movie with his identity. While we know who he is, the whole world doesn't know who he is outside of family and close friends of the family. Wanting to make a name on his own, he ventures to Philly against the wishes of his foster mother, and Apollo's wife, Mary Anne (Phylicia Rashad). Couple with all of his troubles in the past for acting out and never knowing his father, Stallone had a gold mine sitting in his lap the whole time; and all it needed was some years to mature the actual story. The plot is great because it shows a natural progression and it had real world applications. The one thing that actually sold me on this movie was the style of filming. It was sort of something new that you're seeing where it puts the viewer sort of in the eyes of the actor but it also has heavy scenes of action like you're right there and the traditional shots as well. Ryan Coogler does a GREAT job encompassing those aspects, (albeit with a little help from Stallone), and he left his marks all over this movie. You have the natural progression of the story line, the style of shooting that keeps you involved and the cast is in place already with Tessa Thompson playing a great love interest, and Tony Bellew playing the perfect role of respected foe. One other great thing that they did with Bellew is that they didn't make him seem cartoonish or over the top. He played his role as though it would be in real life and they made him seem damn near invincible in a good way. The movie focused solely on the progression of Michael B. Jordan's character, but they did so in a way that kept everyone involved, with Jordan's persona actually fitting the role of arrogant, many faced boxer. I give this movie a solid A- for the simple fact that I know I'm going to be able to watch this multiple times over, but just not back to back and on a drop of a dime. It's definitely one of the top movies of 2015 and I strongly recommend it to those that love a good story line and well placed brawls. If there were to be a sequel with Andre Ward serving as the lead protagonist, and Wood Harris serving as the trainer for the fight, I wouldn't be mad one minute with that at all. Because just like the plot for Creed, that plot writes itself since Harris' father is the one who trained Rocky in that very gym Adonis wanted to train in, right after Apollo died. 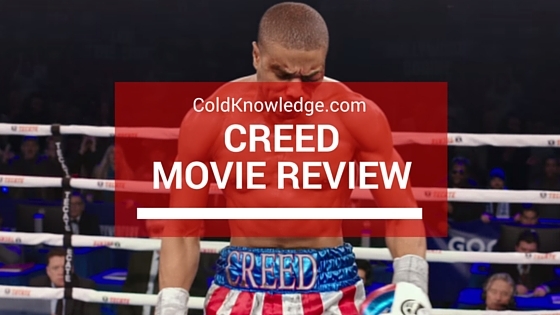 If you saw Creed, how did you like it? Leave it in the comments below, I would love to hear from you guys.